I make it a general policy not to apologize when I have a big break in between blog posts, but a four month pause after just moving to a new country probably deserves one. Things have been amazing and crazy and fun and hectic, and when the end of the day comes and the thought of writing a blog post crosses my mind, it’s been far too easy to push it aside and instead pick up a book or plan our next trip. I’d like to break the silence, though, and I’m going to start with something easy: An updated list of a few of my favorite things. Deciding exactly which belonging qualify as “favorite things” has been a pretty easy task this time around; Over the past year we’ve sold, donated, or thrown out a solid 90% of our possessions as we sold our house, moved to a smaller apartment, and finally moved overseas with five large suitcases and three backpacks. We’ve all had to look long and hard at what items we actually and truly need in our lives. At the end of the day, the following are a few of the things I wouldn’t want to live without. This little guy lives on my keychain and is always there if my iPhone needs a quick charge. It’s a simple USB to Lightning connector, so if there’s a USB port around my iPhone can charge off of it. It’s come in handy in more than one airport or at coworking spaces when my battery depleted quicker than expected. They also make a micro-usb model if you’re not an iPhone person. As a sidenote, about half of my keychain contains things that aren’t actually keys, and it’s a wonderful way to keep helpful things nearby without the need to remember to put something else in your pocket. This one should probably be at the top of my list. 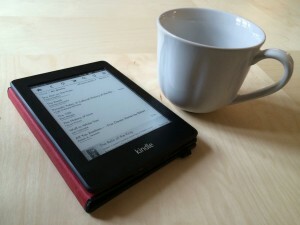 You know the biggest objection that avid book lovers give to e-readers? The one about the feel and nostalgia of a “real book?” I have that for my Kindle. I’ve been using a Kindle for all of my reading since we bought our first one in 2009, and this specific one since 2012. Goodreads tells me that I’ve read more than 100 books since getting a Kindle and that wouldn’t have been possible if I had to carry real, physical books around with me. The digital copies of books on my Kindle are full of highlights, annotations and notes from everything I’ve ready for the past seven years, and it’s made it possible to pare down our belonging while remaining an avid reader. I’ll drink pretty much any coffee that’s available, but I love love love a good cup of coffee. For the longest time my standard method of making coffee at home involved a large French press and an electric grinder. 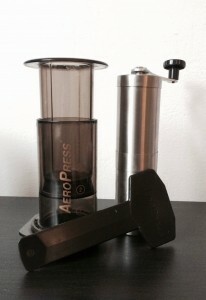 Two years ago, however, January got me one of the best Christmas gifts I’ve gotten: An Aeropress coffee maker. If you’re not familiar, it’s a method for making individual cups of coffee that involves a very small filter, finely ground coffee, hot water and pressure. No electricity required, and it’s super fast and very easy to clean up after. Since then I’ve rarely gone on a trip without taking it with me. When we moved overseas I got rid of the electric grinder and treated myself to a handheld burr grinder that fits perfectly inside the Aeropress. It makes producing a good cup of coffee a bit more involved than simply pressing a button on an electric grinder, but it also makes you appreciate it just a little bit more. I remember when I graduated from university and got my first “real job.” One of the first things I bought when that first paycheck was cashed was a big, fancy stereo system. Onkyo receiver and 5-disc CD changer and accompanying tower speakers. It sounded awesome and nearly every time I was at home, I was playing something. As technology moved on and we started to get a bit more mobile, we’ve turned to more compact Bluetooth speakers. 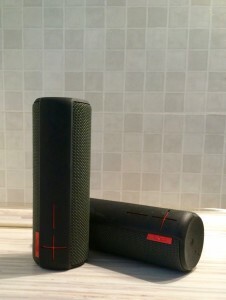 I’ve used a lot of them, but for my dollar the UE Boom by Ultimate Ears is the best you can get. It’s small, water resistant, and sounds fantastic. Best of all, if you have two you can pair them together for true stereo sound. One of our pair is always packed right next to the Aeropress on all of our trips. Being a homeowner means building up a quality tool set. Over the seven years we lived on Kelso Road I had managed to compile a pretty respectable set of Dewalt power tools and accompanying hand tools. When we sold the house and began to pare things down, that toolbag went to my parents basement for a future life. 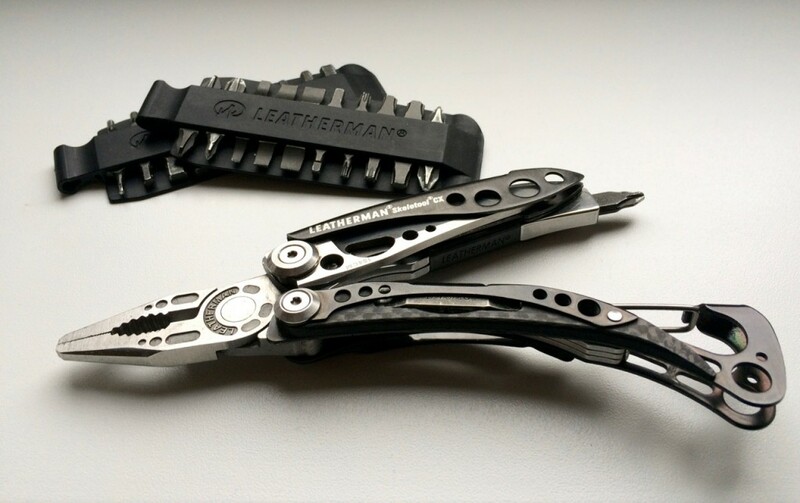 Now, as I travel around Europe and need to fix things occasionally, I look to that tiny pocket in my jeans where I keep my trusty Leatherman Skeletool CX. It won’t to the major tasks like repair and plumbing or repair drywall, but if there’s a bolt that needs tightening or some IKEA furniture that needs to be assembled it will get the job done. And with the extra bit drivers pack, there isn’t a bolt or screw out there that it can’t tackle. So what about you? What are you “must pack” items when you’re trying to travel light?